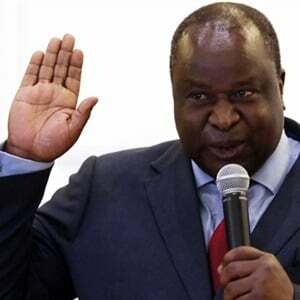 Finance Minister Tito Mboweni was seemingly burning the midnight oil ahead of his maiden Budget speech on Wednesday. "Ku rough!" (It is rough) he tweeted just after midnight it seems, along with a cartoon drawing of him carrying a small pile of documents labelled SA's budget while pulling a mammoth-sized document, labelled Eskom's budget, on a trailer behind him. The tongue-in-cheek post was in reference to Mboweni's tough task in terms of Eskom and its burden on the fiscus. The Budget address will be delivered at 14:00 and will be livestreamed on Fin24. A live update will also be published. Eskom, which produces over 90% of SA's electricity, has a debt burden of roughly R420bn and does not make a profit from selling electricity at current prices. The power utility's financial position is being closely monitored by rating agencies and investors, who view it as the most immediate problem facing SA's economy. 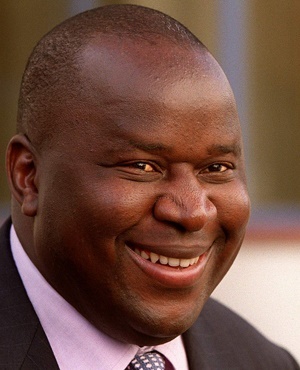 Years of low economic growth, coupled with concerns over SA's debt-to-GDP ratio and projections of more tax collection shortfalls, mean that Mboweni has limited space to manoeuvre in granting state aid to Eskom, which has asked for a R100bn in government support. In his recent State of the Nation Address, President Cyril Ramaphosa announced that government would "support Eskom’s balance sheet", saying that Mboweni would provide further details in the Budget. "This we will do without burdening the fiscus with unmanageable debt," said Ramaphosa.